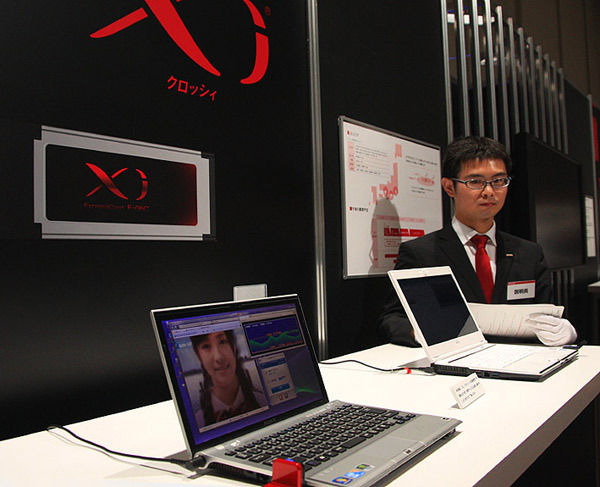 Under the theme Next Stage, we watched NTT DoCoMo President and CEO, Ryuji Yamada, take to the podium in Tokyo Forum on Nov. 8th to introduce a record 28 new handsets, along with several new service plans – including the launch of LTE – for the Winter 2010 campaign. The on-demand video is available in English online here. In addition to the already announced Galaxy S and Samsung Tab, with upcoming bookreader slated for early next year, the wraps come off 4 more smartphones. Leading the way with Sharp 3D ‘Lynx’ and Toshiba ‘Regza’, both running on Android with all the 1Seg digital TV, FeliCa Wallet and Flash goodies. Considering the integration challenges for above mentioned services these models are running ‘droid 2.1 version out of the box with 2.2 update planned for early spring 2011. Our hands-on with both of these two; the Sharp screen is Liquid, you really will have to see how amazing that is with your own eyes, will be popular For Sure and the Toshiba was running far smoother than previous WiMo 6.5 shackled versions with slightly larger screen, it’s sample HD videos also looked very impressive. See complete Specs Here. 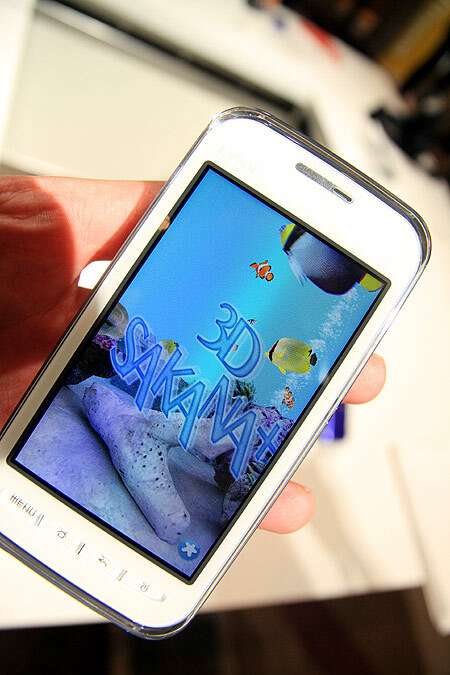 The 19 new feature phone models came in under the Style, Smart, Prime and Pro Series segments. Several fashion brand tie-ups targeting the young female demographic, such as Cecil McBee, were announced along with a range of new services. Perhaps most significant noted was improved camera features, with Lumix by Panasonic and the world debut of the L-03C by LG a full-spec. camera with added phone and web functions! Also interesting description of additional i-concier offerings with voice and image data inputs to combine with location and scheduled alerts. See the now standard Flash Gallery for more visuals. The Sharp-powered Touch Wood, a former concept model produced with recycled materials, will become available in limited quantity early 2011 and touts an eco-contribution for each unit sold. 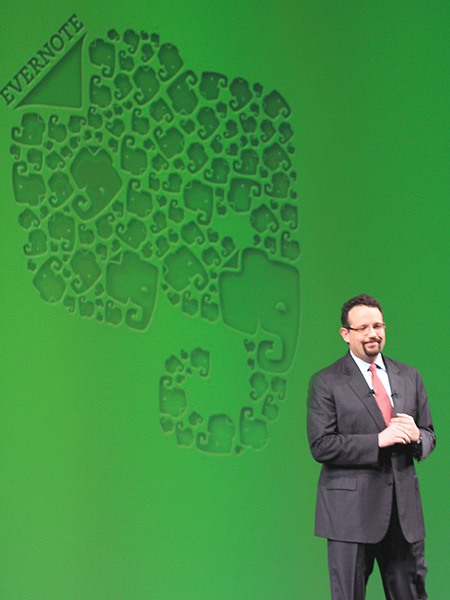 EverNote was introduced by the company CEO, Phil Libin, who announced the world premiere of their 2.0 mobile version, along with an i-mode compatible suite, which will be pre-bundled in all DoCoMo Android devices. It’s the first operator direct deal for the company and he announced they will provide all DoCoMo customers a free upgrade to trial the full premium level account for one year. More details via PC World, including FYI that DoCoMo Capital, was an early investor in Evernote! LTE (Xi) is set to launch (wOOt!) on xmas eve in Tokyo, Nagoya and Osaka with theoretical speeds of 75Mbs downlink. Initially access only via data card with first one a USB model by LG at launch and the 2nd, a PCI version from Fujitsu early next year, both dual mode provide fallback to HSPA. Apparently handsets with voice and data are expected by late 2011. The Start campaign announced included introduction package with unlimited data plan priced at 4,935 ($60) per month effective until April 30th 2012. During the analyst Q&A the company stated they would build-out 35,000 base stations, for nation-wide coverage, by 2014. Also noted with equal interest was part 3 of their major announcements, the 12.06 planned launch of DoCoMo Market for i-mode. This bridge of existing content and service offerings, specifically in music, books and other general apps, between these two channels will be closely watched by other operators looking at how to integrate their own portal offerings along with 3rd party platforms. See Details Here. Over-all the company continues to focus with keen eye to detail on the three core areas of Network, Devices and Services. While it may not have been the Rock Show event that we saw at SoftBank presser a week before, they appear to have a well-defined road map heading into what might best be classified as mobile 3.0 — although perhaps mobile 4.0 is actually more accurate!